Friends and family gathered at Belotti Hall in Ferndale May 20 to celebrate the life of Robert "Curley" Tait, a former model and Chicago blues nightclub owner who for much of his life was well known and well loved for his restaurant, Curley's Bar and Grill, which served California-style favorites for 16 years in Ferndale. 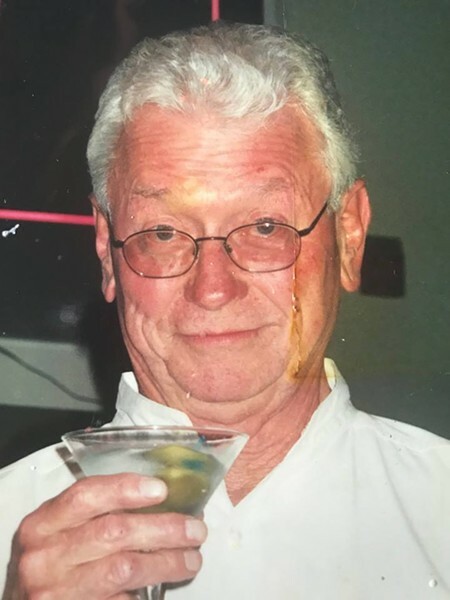 The restaurant closed in 2011, re-opening briefly at a new location in Fortuna, but according to Tait's obituary, the spunky octogenarian — who had open heart surgery in 2001 — had found other hobbies, including teaching a Jazzercise class. Tait, who died at home in Ferndale on May 1o, was immortalized in this 2000 Journal cover story, which details his origins as a dishwasher in his family's Evanston, Illinois, restaurant who went on to manage famous '60's pop band Spanky and Our Gang. After that chapter of his life closed and his marriage began to fray from the pressures of life on the road, he landed in Ferndale by chance, opening a restaurant at the then-empty Victorian Inn in 1970. That enterprise didn't last but Tait went on to build a career as a local restaurateur, managing The Brewery, opening a French seafood restaurant called "Tango" and managing Arcata stalwarts Abruzzi and Plaza Grill. Between restaurant booms he raised Arabian horses in Ferndale. Curley's Bar and Grill garnered rave reviews from the San Jose Mercury News, Glamour Magazine, Fodor's and Frommer's, among others. It was reborn as Curley's Full Circle back in its original location at 460 Main St., where Farmhouse on Main now operates. In all its incarnations, locals seemed to appreciate the menu most when it was augmented by Tait's presence, with his well-known charisma and signature crown of curls. Tait's memorial took place on what would have been his 86th birthday.